Tomorrow, a very special Golf GTI is to make its world debut at the Wörthersee meeting. 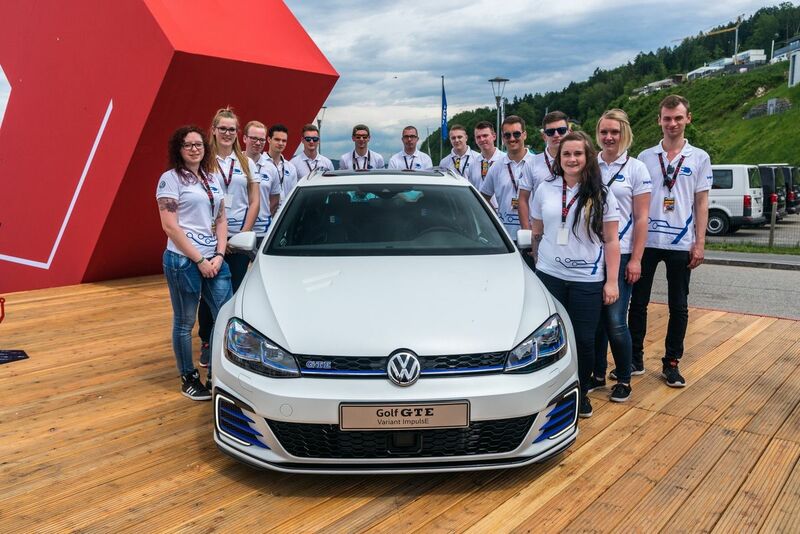 13 apprentices from Volkswagen and Sitech are waiting anxiously as they will be presenting the first GTI that also features electric propulsion: the Golf GTI First Decade. The name indicates that this show car is the 10th apprentices' GTI to be presented by talented young people from Wolfsburg at the traditional GTI fans' meeting in Austria. The Golf GTI First Decade was created in slightly less than nine months on the basis of ideas provided by apprentices in six vocations. In the interior and exterior design, the five women and eight men were inspired by the many and varied blue tones of water and sky on the Wörthersee. The Golf GTI First Decade combines a 410 PS (300 kW) petrol engine driving the front wheels with a 48-volt electric motor that drives the rear wheels with a maximum output of 12 kW. The two drive systems can be used separately but also work hand-in-hand when required. The car can be operated conventionally (front-wheel drive), in purely electric mode (rear-wheel drive) and in combined mode (all-wheel drive. The mild electric propulsion system offers the benefits of zero-emission, silent driving during parking maneuvers and for short distances in residential areas or in stop-and-go traffic (electric mode). Through the recovery of braking energy (regenerative braking), two batteries in the rear of the vehicle are charged. This energy allows further carbon-neutral driving in electric mode. On more demanding surfaces, the combination of front and rear-wheel drive for starting assistance (electric all-wheel mode) comes into its own. The modes can be selected and controlled from a tablet PC using an app or from the infotainment display via Mirror Link. "During the creation of their dream GTI, our apprentices learn about the complexity and future challenges of automobile production. 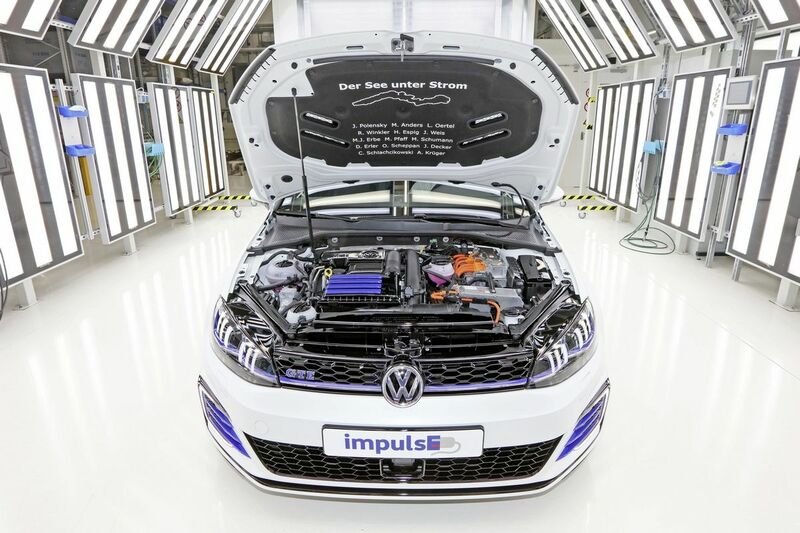 They gain further experience in the use of digital technologies, the application of system technology and electro-mobility," says Peter Christ, Head of Automotive Technology Training in Wolfsburg. "This is why we choose our strongest talents and offer them the opportunity to learn from experienced instructors and experts from the entire company at an early stage." This year, the departments concerned included Design, Group Research Drive Systems, Technical Development, the pilot hall, the seat center, plastic parts production and the paint shop. Exterior: the two-door sports Golf is painted in Atlantic Blue Metallic and the doors and rear side panels also feature large areas of foil in the contrasting color of Satin Ocean Shimmer. Stripes of glossy blue chrome foil underline the racing design. Rally stripes on the bonnet and roof take up the composition of three blue tones with contrasting foils. The sporting presentation is underlined by the high-gloss black paintwork of the honeycomb radiator grille, Clubsport rear spoiler and 20-inch alloy wheels. The wheel rims from mb-Design are decorated by hubs painted in Ocean Shimmer. The starting number 10 on the C-pillars and the "First Decade" logo on the tailgate signal that this show car is the 10th Wörthersee GTI from the Wolfsburg talent factory. Interior: GTI drivers in the two-seater benefit from top sports seats. The driver's seat can be adjusted electrically using an app on a smart phone or tablet. The seat offers several back massage profiles with a memory function. The sports seats are handmade: titanium black nappa leather/Alcantara combination with decorative blue stitching. Punched Alcantara sections have a blue background and the central section is decorated by an embroidered "10" at the top. The racing design of the exterior is taken up in a more restrained way in the interior of the vehicle. Decorative strips painted in Ocean Satin Shimmer surround the air outlets and the instrument cluster. The steering wheel clasp and the decorative trim strips on the sides feature the same color, with the starting number 10 in Atlantic Blue. The dark blue trim above the glove compartment bears the "First Decade" logo in Satin Ocean Shimmer. Instead of rear seats and a luggage compartment, the rear of the vehicle accommodates a high-end sound system with 1,690 watts from 11 loudspeakers and a subwoofer as well as a special rear HIFI installation with LED lighting on a carbon-covered base plate. The batteries and control electronics for the electric rear-axle drive system are installed under the base plate. For the "First Decade", the 18 to 23-year-old apprentices completed part of the work rapidly and efficiently using digital technologies. Designs were created on graphic tablets; special components were designed on CAD computers and produced using advanced 3-D printing technology. In the course of the project, the apprentices from six vocations gained considerable specialist knowledge and expertise and grew together to form a strong team around project manager Holger Schülke. The Golf GTI First Decade is the latest of 10 show car projects since 2008. 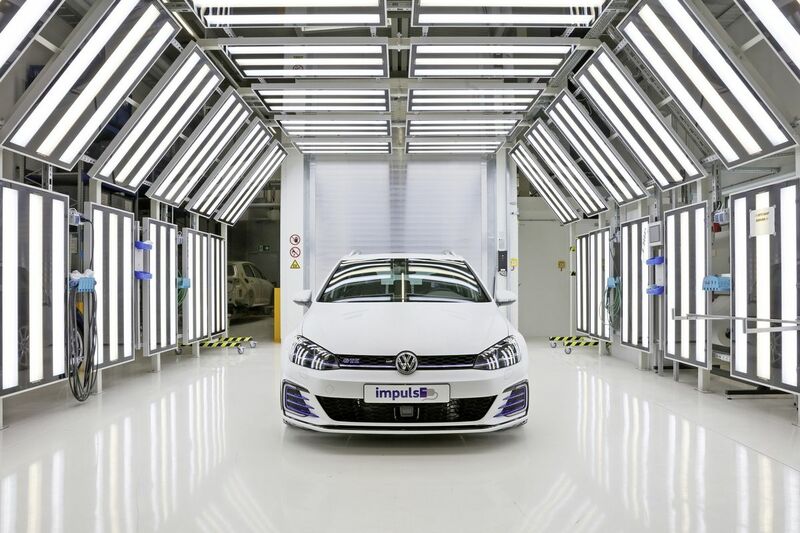 Each unique car bears witness to the high level and practical character of vocational training at Volkswagen. The 2017 Wörthersee Team members (by training vocations): Motor vehicle mechatronics technicians: team spokesperson Eric Miguel Lehrach (21), Marvin Bömeke (23), Janik Kelm (20), Götz Riechmann (19) and Joshua Schilling (23), vehicle interior fitters: Ronja Schönfisch (18) and Sarah Isabel Schorle (18), vehicle paint technicians: Kevin Hoffmann (22) and Michelle Schmerse (21), media designer: Yasmine Weinhold (20), technical product designer: Nils Lennart Fröhlich (21), process technicians specializing in plastic and rubber engineering: Laura Hein (21) and Alexander von Czacharowski (21) as well as Holger Schülke, Project manager, and Martin Nobbe, Project coordinator and controller. Sarah Isabel Schorle is training with Sitech in Wolfsburg, Laura Hein with Volkswagen at the Brunswick plant, and all the others at the Volkswagen plant in Wolfsburg. Sitech is the Volkswagen Group company specializing in the development and production of vehicle seats. 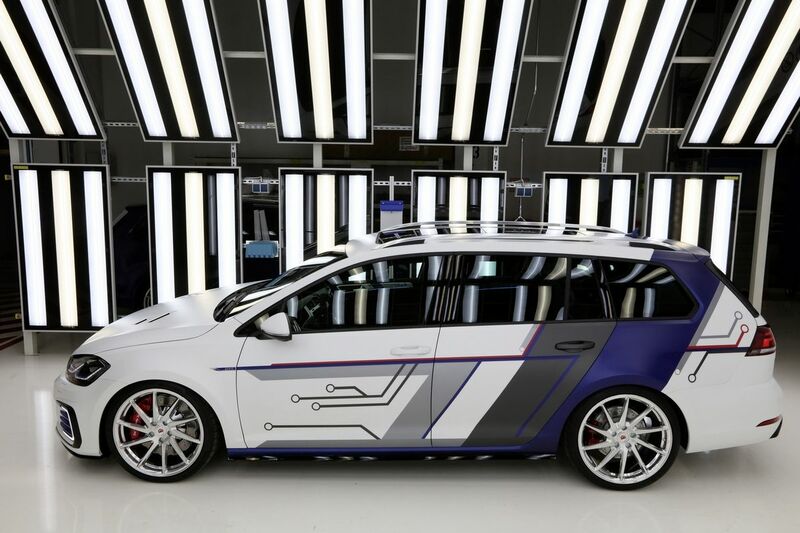 Today, apprentices from Volkswagen Sachsen are also unveiling a Wörthersee show car, the Golf GTE Variant impulsE. This year, the 14 apprentices from the Zwickau vehicle plant, the Chemnitz engine plant and the Transparent Factory in Dresden focused on e-mobility together with their mentors. For them, it was important to combine dynamism, sporting character and skilled craftsmanship with hybrid vehicle technology. A highlight of the show car is the prototype battery with a capacity increased from 8.8 to 16.8 kWh. This doubles the car's range in electric operation. 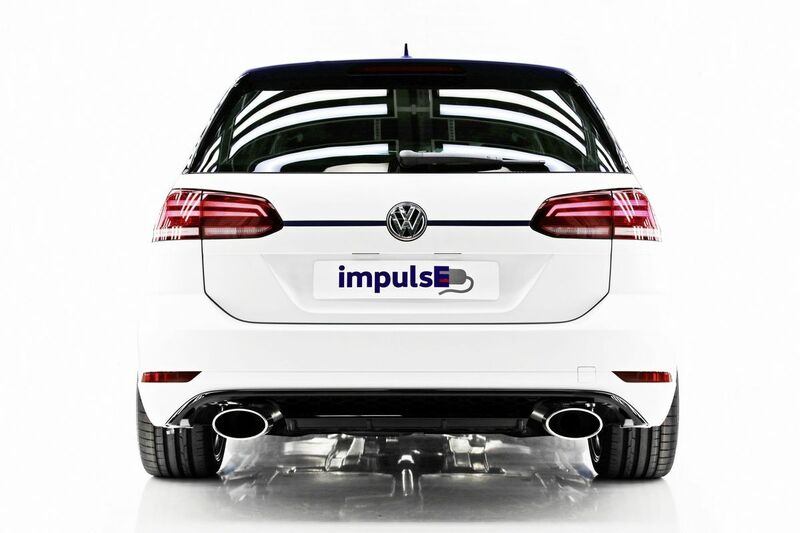 In terms of appearance, the Golf GTE Variant impulsE also breaks new ground: Its five-tone matt paintwork in Oryx White, Apassionata Blue, Anthracite, Hallmark and St. James Red makes the Golf GTE Variant "impulsE" from Saxony a real eyecatcher. Another fascinating detail is the bonnet with its ventilation slats. The color scheme for the interior harmonizes with the exterior. The decorative trims are painted and the steering wheel, central console, selector gaiter and door trim feature blue decorative stitching. The animated, app-controlled ambient lighting in the door trim, the indirectly lit panorama sliding roof and the leather/ Alcantara bucket seats with decorative blue stitching, "impulsE" logo and customized buckets round off the interior design.